NYP/Morgan Stanley Children’s Hospital is the largest referral center in New York for infants with congenital heart disease, with the highest survival rate for pediatric heart surgery in the state and one of the highest in the nation. So that’s where Rob Foley and Lauren Kifer-Foley came when their 20 week pre-natal sonogram and further tests revealed their baby would be born with hypoplastic left heart syndrome (HLHS). This rare congenital defect that affects the heart’s ability pump blood throughout the body can now be alleviated through new, and more streamlined, surgical techniques. Jack Foley was born at full term during a C-section and taken to neonatal intensive care. Four days after birth, surgeons inserted a shunt into the infant’s heart to keep it open. Then Emile Bacha, MD, Chief of Congenital and Pediatric Cardiac Surgery at NYP/Morgan Stanley Children’s Hospital, undertook two more operations to repair Jack’s heart. 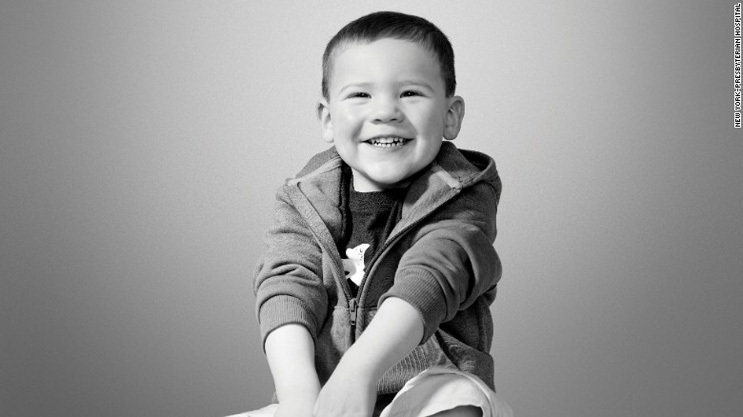 Now aged 6, Jack is an active boy who plays roller and ice hockey and has just completed his first ‘triathlon’. In June, 2017, clad in a Superman-inspired shirt emblazoned with motto, “Half the heart: Twice the Fight,” he completed a lap in a pool, rode his bike around a park, and ran the bases at a baseball diamond in Long Beach, New York. Jack is exceeding all milestones for physical development and is a strong competitor in the mold of his uncle, a triathlon racer and firefighter who died at the World Trade Center on 9/11. Since the 1980s, the Norwood procedure has been the first of a three-step process to create normal blood flow into and out of the heart. It’s usually performed within the first 10 days after birth, and NYP surgeons at the Congenital Heart Center are among the most experienced in the nation and have perfected this technique, achieving among the best outcomes nationally. “Today we are able use a minimally invasive hybrid approach, a combination of catheter-based and open-heart surgery for some children,” says Dr. Bacha. “This Stage I hybrid procedure is pared down and does not require a heart-lung machine, making it safer for infants with low-birth weight and those who are premature.” The Center for Congenital Heart Surgery is currently involved in a major multi-institution study of the Norwood procedure, evaluating this technique, and other innovations for HLHS. The Congenital Heart Center mortality rate following the Norwood procedure is among the best in the country, with survival rates close to 90 per cent.